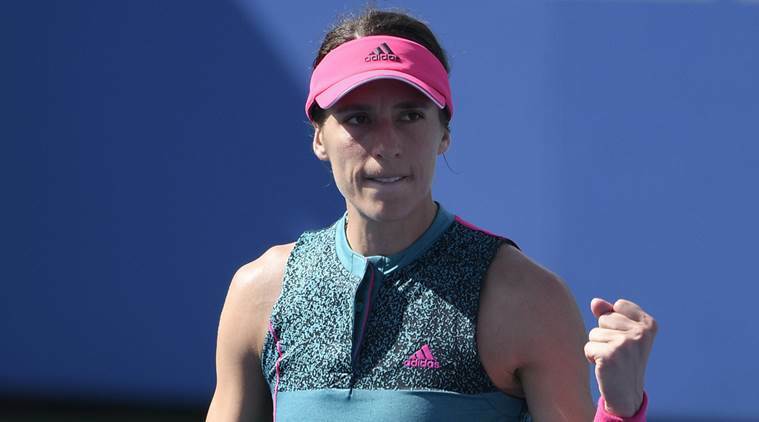 Unseeded German Andrea Petkovic reached the Citi Open semi-finals for the second consecutive year, beating sixth seed Belinda Bencic 6-3 2-6 7-6(8) on Friday. The 2013 runner-up rallied from a set down to defeat second seed Sloane Stephens on Thursday, and continued her momentum at the Washington DC event. “I thought I was really solid throughout the whole match,” Petkovic told reporters. “She played really well in the second set and then in the third set, it was just a momentum swing, up-and-down and emotions. In the nail-biting tiebreak, Petkovic led 5-2 but had to save three match points before converting her first to seal her spot in the final four. The 30-year-old will next face the winner of the match between eighth seed Yulia Putintseva and Svetlana Kuznetsova. The two competitors had their match delayed by rain with Kuznetsova having won the opening set and the second set tied 2-2. Seven seed Croatian Donna Vekic was leading 3-0 over Magda Linette in the opening set when play was suspended. China’s Saisai Zheng had her match against American Allie Kiick postponed until Saturday.